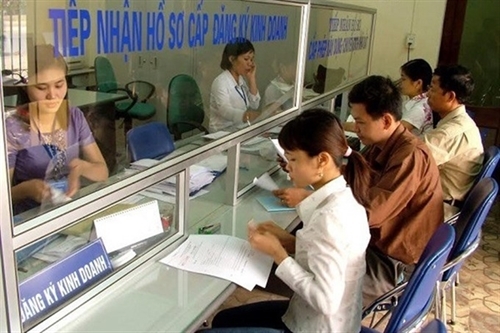 The 2000 Law on Insurance Business and the 2005 Law on Intellectual Property are under scrutiny, a move conducted by the Ministry of Industry and Trade in preparation for implementation of Vietnam’s commitments under the Comprehensive and Progressive Agreement for Trans-Pacific Partnership. 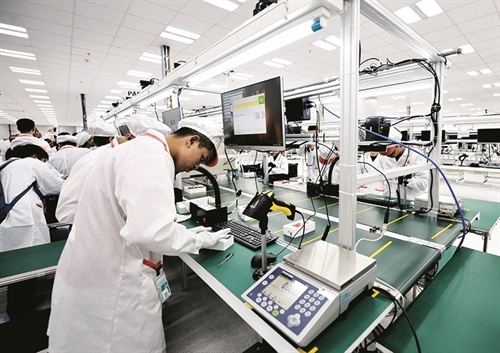 Science and technology enterprises will be soon provided with a raft of attractive tax, credit and land incentives, following a decree recently issued by the Government. Against the backdrop of rapid development of science and technology, intellectual property (IP) has become one of powerful tools for countries to raise the competitiveness of their businesses and national economies. 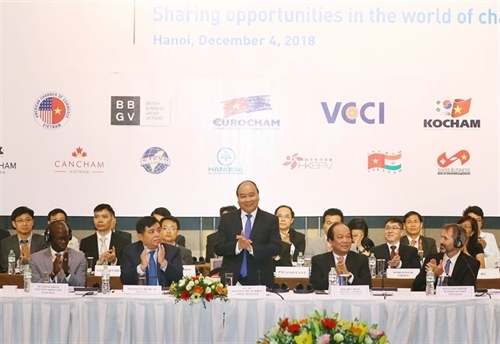 As for Vietnam, it is a must to increase the effectiveness of IP activities to seize opportunities and overcome challenges facing the country in the course of national development and international integration. Resolution No 19 on the improvement of business environment has been implemented for five years and has gained a lot of success. The Government is planning to carry a further reform on this issue next year, setting major tasks and solutions to implement the socio-economic development and State budget for 2019. 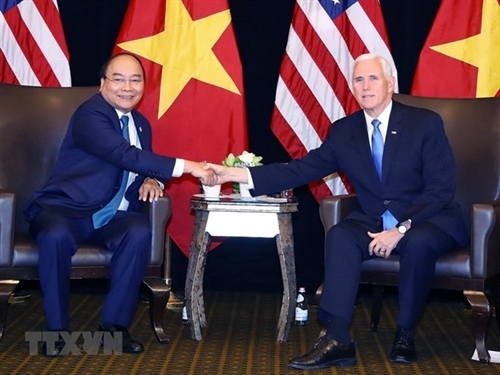 Vietnam considers the US one of its leading important partners, Prime Minister Nguyen Xuan Phuc told US Vice President Mike Pence during their meeting on the sidelines of the 33rd ASEAN Summit and related meetings in Singapore on November 14. With around USD 184 billion disbursed over the past 30 years since the enactment of the Law on Investment in 1987, the inflow of foreign direct investment has significantly contributed to the country’s total social investment capital. The fourth Industrial Revolution increases the demand for skilled workers, resulting in a shortage in the labor market. 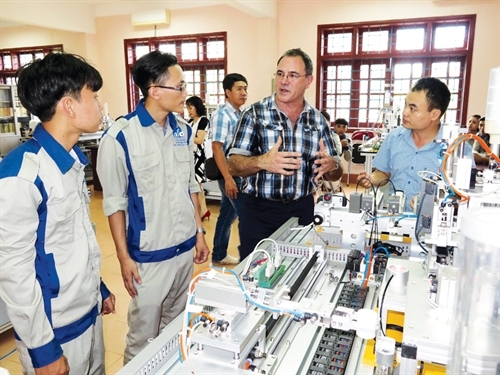 As the national education system is unable to satisfy the local demand, many countries around the world have adopted policies to attract foreign workers to offset the deficiency. 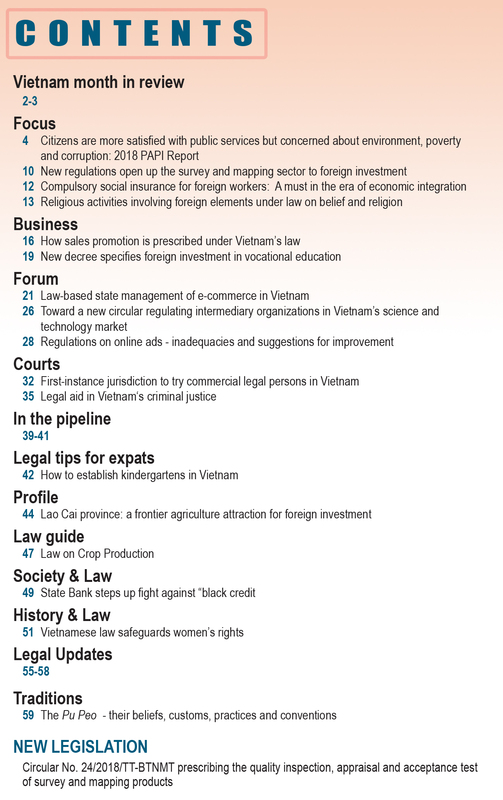 This article analyzes Vietnam’s policies on attraction of foreign workers and proposes policy solutions to lure foreign scientists and technologists to work in the country. 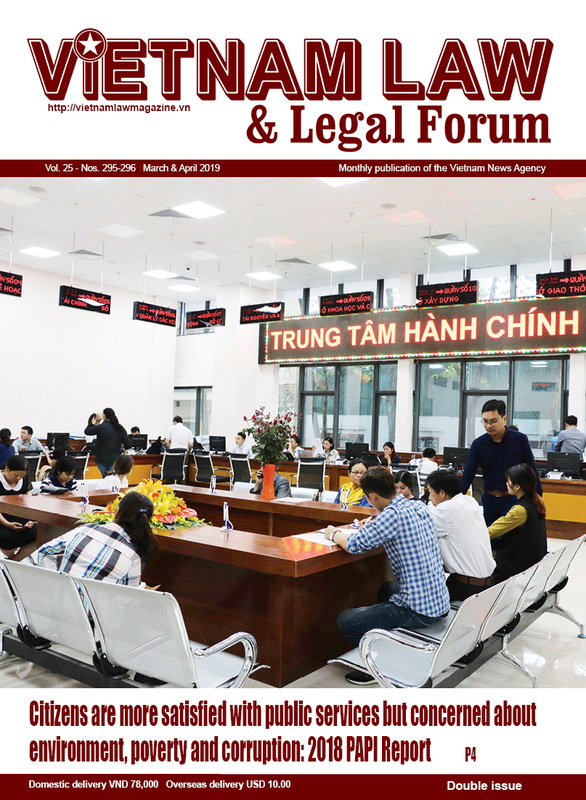 The Competition Law that came into force on July 1, 2005, was the very first important milestone in the process of creating a legal framework for fair competition in Vietnam. 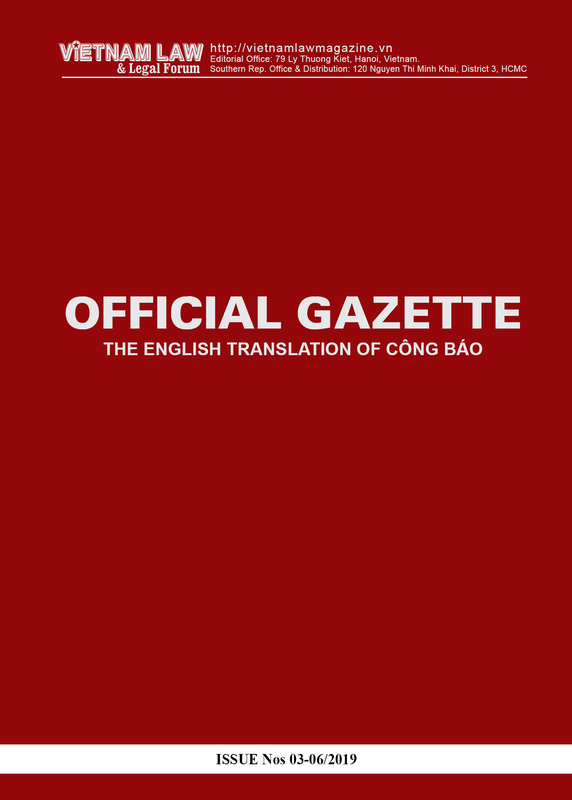 Unfortunately, both domestic and international business environments have been changing significantly since the promulgation of the Law in 2004. 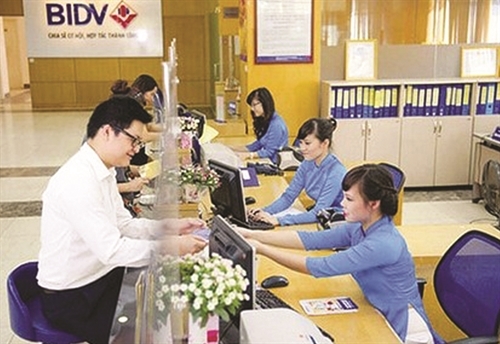 There is strong demand for Vietnamese companies to participate deeply in new global value chains. The 4th Industrial Revolution has facilitated the emergence of new business models that the current Competition Law fails to regulate. 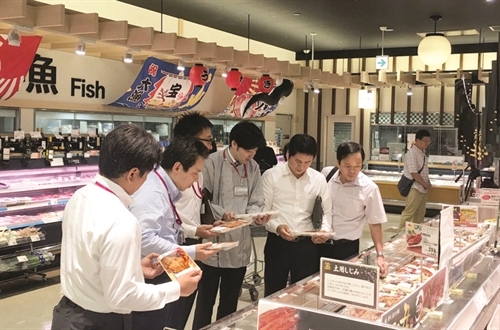 Those business modes have changed the market structure and directly affected competition. 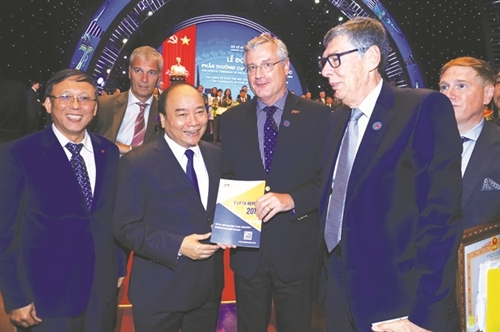 Therefore, comprehensive revision of the 2004 Competition Law is practically necessary to not only overcome its limitations and shortcomings but also take full advantage of opportunities of economic integration as well as the 4th Industrial Revolution. 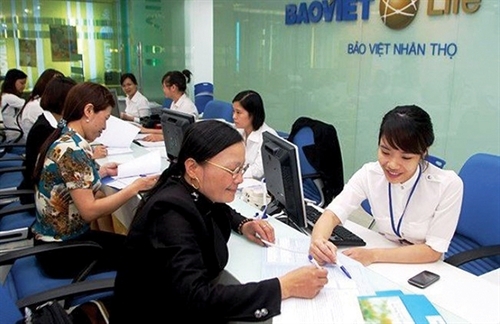 Charges are the most commonly used security interest in secured lending in Vietnam. As the charged property remains in the hands of the chargor, there are risks facing the secured banks. To be able to efficiently enforce the charges at a later time, banks should anticipate and prevent those risks at the time of entering into the charge agreements.